​Financial institutions are under pressure to re-invent themselves into more productive and effective organizations while at the same time complying with regulations such as Sarbanes-Oxley and Check 21. One way for these organizations to improve compliance and efficiency is with document management. Most financial organizations rely on paper based information, from tax returns, loan applications, appraisals, correspondence and remote deposit paperwork. These paper process and workflow are costly and difficult to control. Document management can help bring these processes and costs under control. ​A critical component of remote deposit for business and personal finance is the scanner. All Plustek scanners can be used with web based remote deposit applications offered by banks and credit unions. Business users can be assured that Plustek scanners will interface with many commercial remote deposit solutions thanks to the industry standard TWAIN drivers supplied with each Plustek scanner. Will you scan documents at their source or send them to a centralized area for scanning? Do you need to scan other items such as: ID Cards, Drivers Licenses or membership cards? Do you have field based employees that need to scan customer documents or applications? Will you only scan small items such as ID cards, deposit slips or checks? 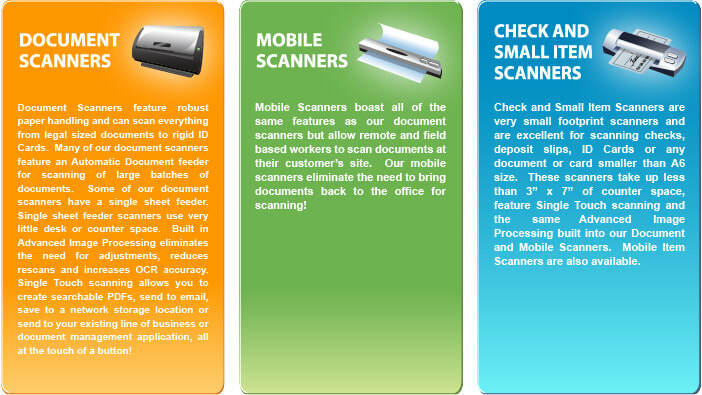 Or will you scan many different types and sizes of documents? How much desktop space can you allocate to a scanner? ​Plustek manufactures a portfolio of document and item scanners that meet your rigorous scanning and imaging demands. ​​The efficiency and accuracy of your document management process begins with the scanner. Plustek's scanner portfolio consists of scanners that can easily handle all the typical documents in the financial vertical. Our robust document feeding and imaging technologies coupled with reliable scanners make your scanning process more productive and efficient.